Home » Behmor 1600 Plus vs Gene Café: Which is Best for You? Behmor 1600 Plus vs Gene Café: Which is Best for You? Buying an at-home coffee roaster is quite an investment and not a decision to take lightly. But if you truly want to have the freshest coffee possible and it’s in your budget, why not roast your beans at home? Let’s take a look at the Behmor 1600 Plus and the Gene Café CBR-101 to see which one, if either, is the best for your home. How Much Can You Roast at Once? 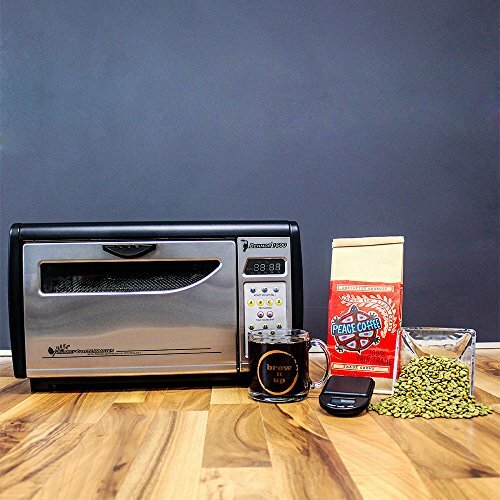 The Behmor 1600 Plus is a wonderful, customizable home roasting option. It’s quiet, relatively small, and easy to use. First up is the Behmor 1600, which will roast up to a pound of beans per batch. If you have more than one serious coffee drinker in the house and not a lot of interest in roasting beans more often than once per week, you may need at least a pound at a time. It’s definitely possible for two people to go through one whole pound of coffee per week, especially if they spend a lot of time at home and want coffee in the afternoon almost as much as they want that first glorious cup when they wake up in the morning. If you’re not worried about letting more than a week go by past the day you roasted your coffee, you could cut down on how often you’d need to roast beans each week or month by roasting larger batches. The Behmor 1600 will allow you to have more control of the two models. There are five pre-set roasting options if you’re not comfortable with doing it all on your own (or just don’t want to spend valuable time determining what you should do). However, those settings (including time controls) are easy to override so you can customize your roasting experience. There’s also a cooling cycle with this one, so once you’re done roasting, you can end it quickly and avoid over-roasting. You’ll be able to keep an eye on the beans and make changes if necessary because of the light on the inside of the machine and the window you can view the beans through. The display is also easy to read and understand, so though this is a customizable experience, the Behmor 1600 makes it easy to understand what’s going on at all times and make adjustments as necessary. It’s easy to add and remove beans from the roaster, thanks to a removable roasting drum. 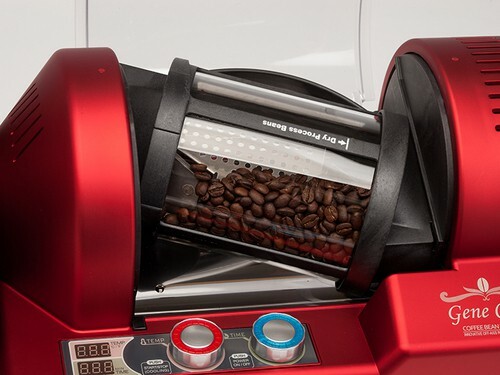 Once they’re inside, the multi-speed motor allows for better control during the roasting process (and you can keep an eye on the beans while they’re roasting!). A fan blows the chaff into a separate tray for easy separation and clean-up. Choose the weight of the green coffee beans on the top row of buttons. Manipulate the time and temperature as you’d like, or let the roaster do its thing with a pre-set option. Do not leave it unattended. You can vacuum out the mess with a hand vacuum when the beans are done roasting and the machine has cooled down. Store your beans in an airtight container. To set the temperature, you’ll need to press a “P” button with a number one through five (0 to 100 percent heat). You can choose the time and number of drum rotations per minute, too, eight RPM through 16. The quartz heating lamps will work their magic in tandem with the rotating drum to create uniformly roasted beans. While you’ll need to keep an eye on your roaster to get the results you want, there is a built-in safety feature in this model. Once the beans are about 75 percent done roasting, the roaster will check to make sure you’re still around via a 30-second countdown. If you’re not there to stop the countdown by pressing the start button again, the beans will not continue to roast and will enter the cooldown stage instead and put an error message on the screen. The whole process should take less than 30 minutes for half a pound of beans, so you won’t feel like your coffee beans are holding you hostage for the day. Just stick around in the kitchen as it works and enjoy hearing the first and second cracks of the beans. Do a little meal prepping, wash some dishes, and just monitor the beans as you do other things. They’ll be done before you know it. 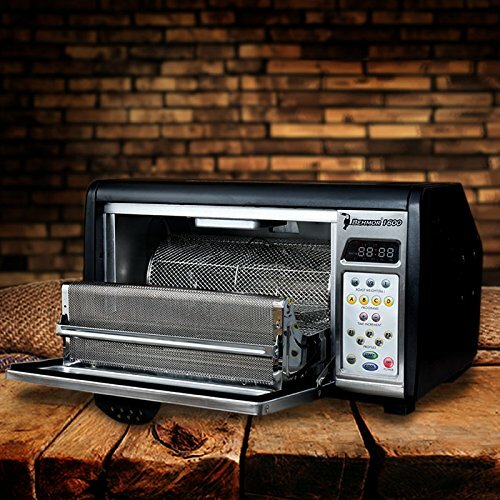 If you’ve seen roasters for larger companies, you’ll probably be shocked to know just how small this home roaster actually is. It’s not going to take up much more space than a small microwave or toaster oven. It’s 17” x 12” x 10.25” and weighs about 24 pounds. It’s not quite as simple as it sounds, however. You’ll want to have open counter space near a window you can open while it works. Even though this machine’s design is meant to keep the smoke to a minimum, there’s still smoke, and you’re not going to want to stick this in just any corner of your kitchen (you may even decide you prefer to use it outside). Large quantities and darker roasts tend to yield more smoke, so if you prefer small batches and lighter roasts, smoke may be less of an issue for you. 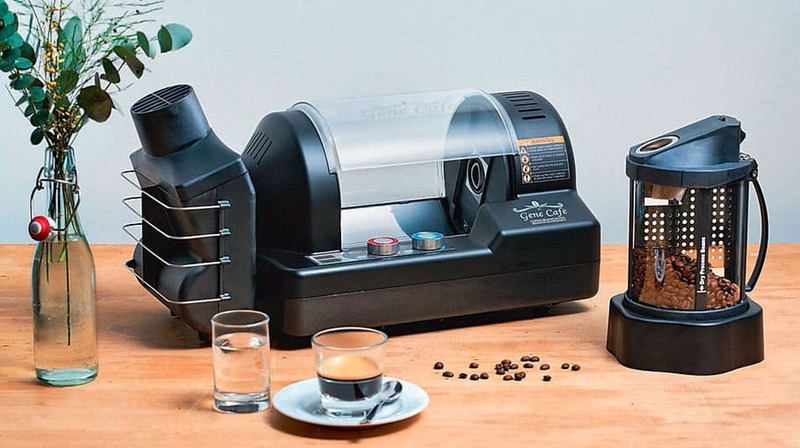 You can usually find this home coffee roaster for under $400.00. If you shop on Amazon, it’s available with Prime shipping. It’s also worth noting that this machine comes with a one-year warranty. The Gene Café is another outstanding home coffee roaster. The Gene Café home roaster will roast half a pound of coffee in one batch, but that point alone doesn’t automatically make this one inferior to the Behmor 1600 if you prefer to roast small batches, either to experiment, because you enjoy the roasting process, or you simply don’t drink your coffee quickly enough to worry about roasting more than that at one time. If you’re the only coffee drinker in your house, you may find that half a pound is more than enough to get you through the week, especially if you spend most hours of the day at work and have limited access to your own coffee during the weekdays. The Gene Café is a fully automatic system, from the roasting to the cooling. You can switch it to the cooling setting at any point you’d prefer, though, so you’re not forced to be completely hands-off from beginning to end. You get to control the time and temperature with the ease of turning a knob. Want a full city roast? Give it 15 minutes plus time to cool. Want something lighter? Simply adjust the settings. Watch as it works thanks to the glass of the roasting chamber. Because this is also a drum roaster like the Behmor 1600 Plus, the time it takes to roast the beans will be about the same, so it should take less than 30 minutes for half a pound. Never leave this roaster (or any roaster) unattended. Pour your green coffee beans into the drum after measuring them out. Insert the chaff collector into the machine, followed by the drum. Turn the machine on and then adjust the time and temperature where you’d like by twisting the knobs. You’ll see the time and temperature pop up on the digital display next to the knobs. With the push of a button, the roasting will start. As the drum rotates, it twists, too. This means the beans are always moving and will be evenly roasted. If you chose to let the roasting process go automatically, it will end when time is up and will stop rotating at a temperature of 140 degrees. If you went the manual route, you’ll have to press the button to end roasting and stop the rotation of the drum. Remove the beans and store them in an airtight container. It’s worth noting that you can achieve darker roasts with this model than you can with the Behmor 1600 Plus. The chaff collector only needs to be emptied out every three to five roasts and it’s not as messy as the Behmor. The Gene Café roaster is 15” x 9” x 10”, so it’s roughly the same size as the Behmor 1600 Plus. It also takes up about the same amount of counter space as a microwave or toaster oven. It only weighs 12.1 pounds, though, so it will be easier to move around. 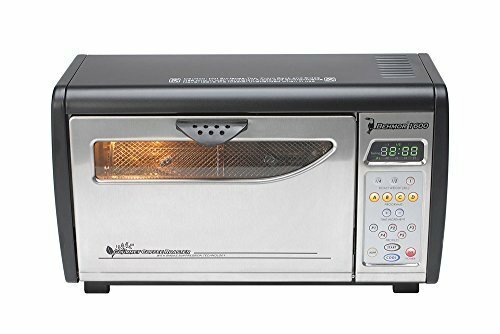 This roaster will also need to be positioned near a window (or under an extractor hood) or used outdoors because there’s some smoke with it as well. If you don’t plan on leaving it on the counter when not in use, storage could also be an issue depending on how many cabinets or shelf space you have. The Gene Café costs quite a bit more than the Behmor 1600 Plus. You can expect to see this one priced at just under $600.00. You can sometimes find refurbished machines on the Gene Café website for just under $500.00, however. There’s a one-year warranty, plus the option to extend the warranty for another 12 months. No product is without its pros and cons, and this one is no exception. If you like the idea of pre-programmed settings that you only need to tweak a little here and there, want to spend as little as possible, and don’t need a darker roast, go with the Behmor 1600 Plus. However, if you’re not intimidated by the idea of not having those pre-set options, want a darker roast, and have enough in the budget to swing an extra $100.00 or more, the Gene Café is the way to go.